I'm often asked what are the best Atari ST games and sometimes what are my own personal Top 10. This is pretty much an impossible question to answer because, no matter how much I might try, the list changes almost daily. 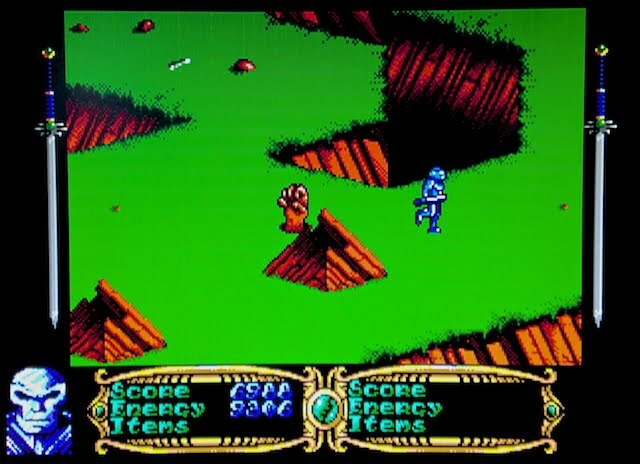 There are simply far too many excellent games to choose from but, with a little push, I can think of two worthy titles... What about the magnificent Oids and, of course, the mighty classic - Dungeon Master! I've been in the middle of writing something for both games for several months now and it then dawned on me that FTL is probably my favourite company. Sure, they released few titles but what they did produce are absolute gems and nobody in their right mind could ever deny that. The previously mentioned games are outright legends which broke the mould to create a fresh groundwork for so many future games. They also released a couple other games which I've not played (yet) and there is also RVP (unreleased) which I need to know more about. FTL are true retro gaming legends and they were best on the Atari ST.
- AtariMania has everything listed in their ST database and Wikipedia has lots more to read through. Marko Latvanen currently handles all of the Atari ST administration for the AtariMania website which must be a massive undertaking but one he is committed to finishing. 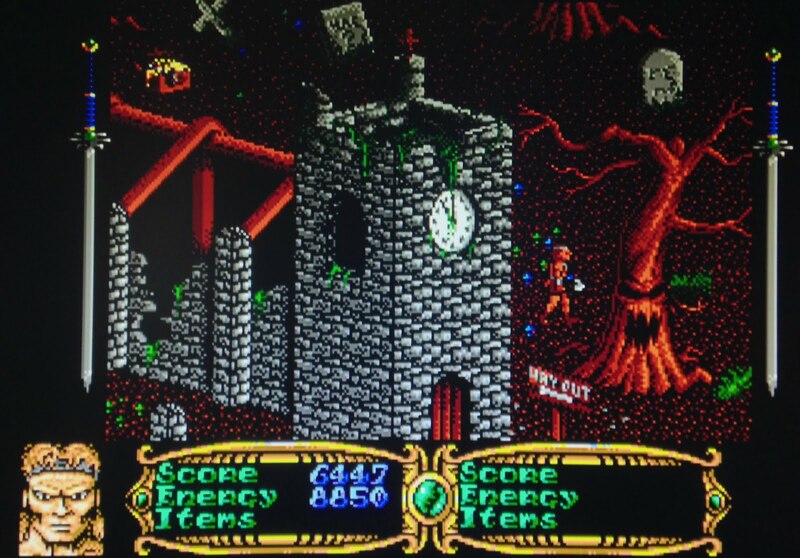 AtariMania is a popular website which has catalogued and detailed almost every Atari ST game. I don't think a day passes without a visit from myself and zillions of other people, I'm sure. 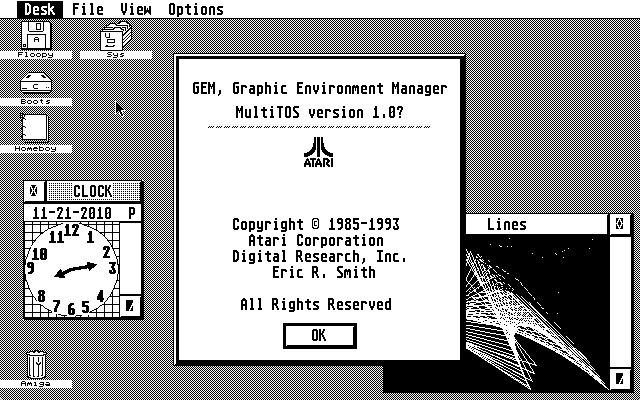 Of course, AtariMania isn't just about Atari ST gaming because they also feature utilities, applications, demos and even scans for books, adverts and magazines. 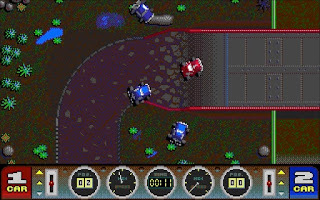 Not to mention support all other Atari machines, from those odd looking consoles to the mighty Falcon computer & Jaguar CD. Marko is a nice chap and works hard for the Atari scene so I figured it was about time he answered few questions for a cool feature here at AtariCrypt towers - thank you Marko! You know what to do... clickety click and go and visit the AtariMania website right now! What is your role within the world of AtariMania? Atarimania is a huge project which tries to preserve and catalogue the golden memories of gaming but also demos and utilities over 9 different systems (Arcade coin-op, 2600, 5200, 7800, Lynx, Jaguar, Atari 800-series, Atari ST–series and Falcon030 / TT. A lot has been done but also a huge amount of work is still ahead for a small team like us. Our headquarters is in France and we have 5-7 active members for the whole Atarimania website. My role is mainly Atarimania ST database moderator. So I’m basically doing a lot of “household” work with our custom built software. 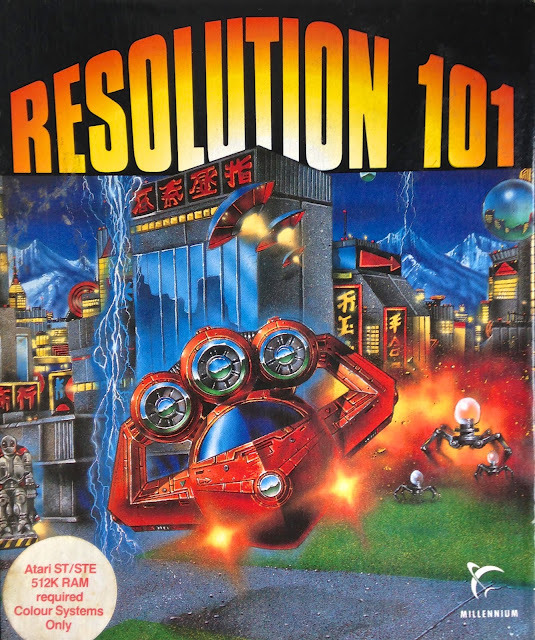 It includes building database records, correcting information based on our own research, adding screenshots, hunting down unreleased games and their creators, helping them with utilities to save precious ST productions before they break down, doing a lot of cross reference checking, game archiving and research which is the most interesting part. I like being a software archaeologist for the digital dawn of 16bit computing. In the last 12 months I’ve been also building a database for Atari’s last beast, the Jaguar. Oh and I’ll update the Atarimania Facebook page as well. What else, surely missed something (grin emoticon). I get of course a lot of help from Stefan_L and Champions_2002 who also do the database moderation, background research and are equally as important part of Atarimania ST-section. 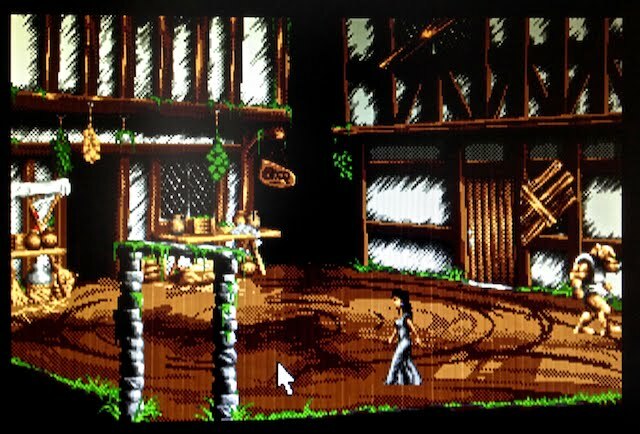 What does the Atari ST platform mean to you? So I grew up with my ST, it offered me thousands of hours of fun with games and some jaw dropping demos, I learned English (sort of anyway!) by using an ST and it helped me to secure my job in Desktop Publishing business (thanks to Calamus and TimeWorks Publisher). For a while, I even got paid using an ST as a workhorse in mid 90’s. I do this because I want ST and its memories to live forever. It’s also my way to say huge thanks to all those game, demo and serious software developers, graphics artists, musicians and designers who offered me so much fun over the last decades. Their work should not be forgotten. It’s also a most rewarding feeling to get unreleased stuff dug out of people's attic to save them from destruction. I hope you are in this for the long haul? 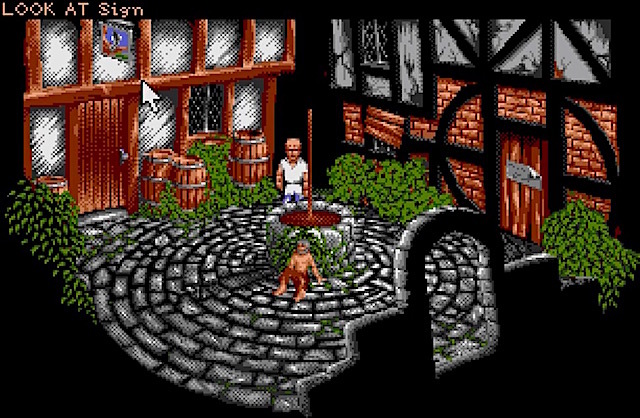 Been into the Atari ST every day since 1990 so I’ll be there as long as most of my fingers and senses are working! And of course, as long as Franck keeps the site up and running. Retro computers just keep getting better every year! How do you envision AtariMania 10 years from now? In 10 years it should be a top research-quality database for the future generations of computer historians, journalists and the people who want to see and feel what Atari was about its golden years. Hopefully, it will also feature a lot more videos, music files and a capable online ST / Falcon emulator to try out the games and demos. What Atari computers do you own? 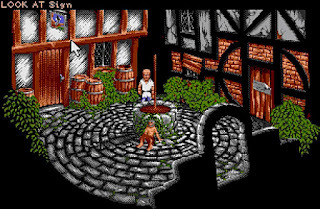 What are you favourite Atari ST games? 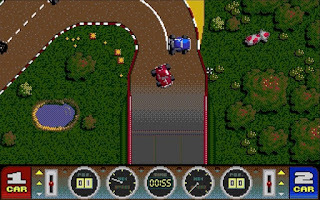 I’ve always been a big fan of racing games from the day one so Vroom, Microprose GP, Stunt Car Racer, Crazy Cars III, Toyota Celica GT Rally, Lotus and Super Cars series were the ones I’ve played most back in the day. For the other genres, i guess I'm still playing Kick Off, Phantasie III, Obsession, Pro Tennis Tour, Fire & Ice, Elite and most part of the awesome Power Pack bundle in the retirement home if they allow computers! Are you planning any changes to AtariMania? As I’m only an ST moderator it is really up to Franck to decide where the future of Atarimania is heading. I think there’s so much work ahead in most of the databases itself. We should concentrate on that until the work is done. Is the Atari ST database close to completion? I would say something like 45-50 percent. We have most of the commercial releases in as well as the biggest demoscene productions from ST’s commercial years. We are still missing many hundreds of PD / shareware games, a huge amount of Falcon stuff and utilities. From the artist credits part, it really is not yet in such shape it should be used for research purposes without double checking first. The problem originates mostly from the imported list Atarimania used as a basis of the database. It, unfortunately, had a lot of errors in it. Another part is caused by me as doing too many 10-11 hour Atarimania days at the start of the project wasn’t maybe wisest move after all! It’s an extremely slow task to check everything, but we’ll publish the correction progress on the Atarimania news page a bit by bit. AtariMania's ST games are not playable on real hardware? It’s because we try to preserve games as originally as possible. 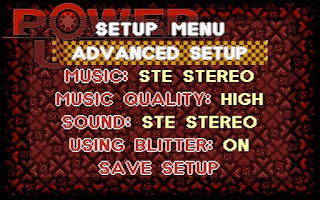 Most cracked versions had title screens or even digital music tracks removed or altered so the originality was gone. As we want to give the full credits and support to the original authors who did the hard work in the 80’s and 90’s, we don’t use cracked versions on ST section. However, I must point out that game crackers did a very important job historically speaking if you look it nowadays. The majority of the classic games would have been lost without people spreading them back in the days, and there probably wouldn’t be commercial interest in retro gaming nowadays without crackers who kept the software alive. So they really deserve the credit for their work but we just like to do things unedited when possible. You have so many aliases on Demozoo! Why? Hmm. There seem to be some errors. The ones I used were mostly related to Jean-Michel Jarre’s recordings. Not sure where the Beatdrum or Squish came from… Probably from some lazy editing of my crappy MOD-files. I guess I just couldn’t make my mind. 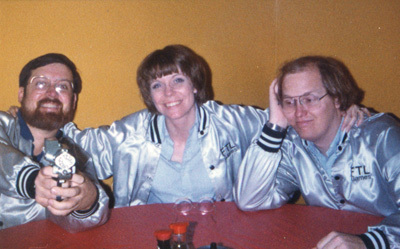 First, we had a little user group called The Atariga Crew. We did some 40+ compact disks mostly for our own use and had little gaming parties. We also toyed a bit with STOS Basic but I soon found out I had no character of a coder. My highlight was to get a UFO sprite bouncing around the screen (grin emoticon). My cousin was a bit better but he never got much running either. So we used an util called Intro Concept to run our menu disks. I concentrated mostly on swapping and graphics. After my cousin got bored on ST I started Alien Nation to do some graphics work. In later stages, we finally got a real coder from the UK. Under that name, we released 10 MOD disks and some 40 more compact disks, again mostly for internal use. I used some of the graphics in them I did with Canvas and Deluxe Paint ST. I also did a new set of VW Buggy themed graphics for PD racing game called Hot Wheels but the disk is unfortunately lost. After a while, our coder went to iMac and we had some plans to make a game for but it got nowhere. Having two under 10-year-old daughters, a Collie dog and doing mainly working hours from 3pm to 11pm does, unfortunately, rule out most of the social hobbies. Besides Atari things, I'm also a big Mazda Motorsports fan and follow everything Mazda-related racing action closely. They’ve an amazing racing heritage in the USA thanks to the rotary engine which was something no other car manufacturer managed to get working properly. 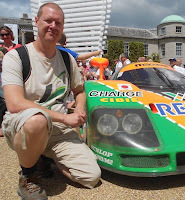 I even travelled to the UK last year just to see and hear their vintage rotary powered racing cars. I also keep my 1995 323F’s and 1992 MX-3 in running order, expanding my 520+ title racing games collection.I try to go to as power metal gigs I can & of course have a beer or two with my friends from time to time and play retro games. I picked up a random copy of Atari ST User magazine (#101) and prepared for a good read with a cuppa joe. All of a sudden, I spat out my coffee in utter disbelief as I began to read of an old favourite - Walls Of Illusion. How could I have forgotten about this belting dungeon crawler?? Perhaps I'm crazy!! 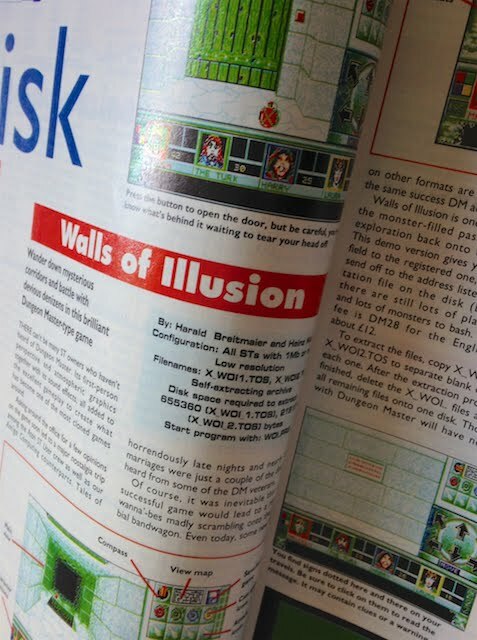 For those that do not know, Walls Of Illusion is a Dungeon Master clone developed by Motelsoft and released as shareware in 1993. 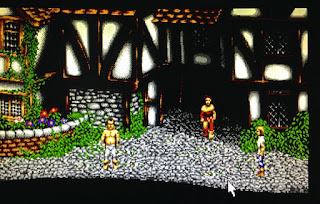 It's so impressive and an extremely well-made clone of the classic Atari ST adventure with awesome graphics and sound effects. I'm now going to lock myself away for a few days and catch up with this beauty. A brilliant DM alternative!! - Stonish has Serenade #10 which features the game and docs. - Demozoo also features the full version to download. - Here is a pic of my Atari ST User. A fantastic magazine and AtariMania has issue #101 available to view online. Crapman was originally featured within the awesome Synergy megademo and later released as a standalone product in 1993. Most Atarians rate this as one of the best Pac-Man and it's obvious why with spot-on perfect gameplay: those pesky ghosts are clever and a cunning level design help make this extremely challenging. 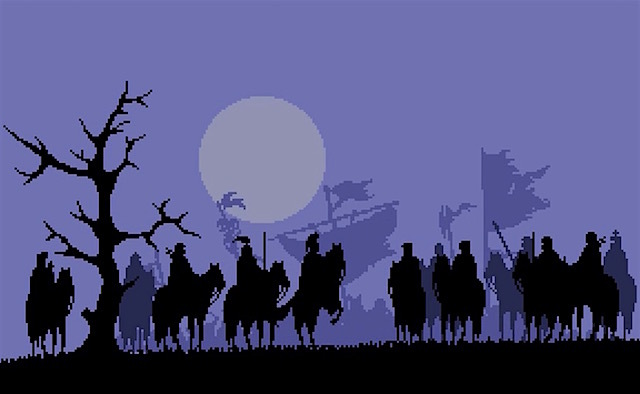 Graphics are marvellous and the Scavenger music is beautiful and simply timeless! Crapman may indeed have a silly name but it's a fantastic twist on the original idea and immensely addictive. Quite possibly the best Pacman clone ever made? - Download Crapman game from the Demozoo website. - The Synergy Megademo is one of the best Atari ST demos so download it. The story begins with you waking up one day, only to find yourself locked away in a creepy dungeon. 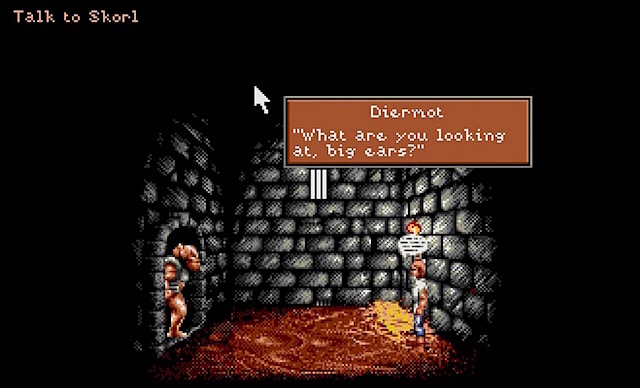 You are a peasant called Diermot who was previously part of an attempt to free the village of Turnvale from Selena and her army of Orc lookalikes, called Skorls. Sadly, that campaign ended in tragedy and everyone was killed! Whilst the bloodshed reigned, you bumped your noggin and was knocked unconscious only to be easily captured. Upon waking, you find yourself banged up in jail with a rather bad-tempered Skorl as your guard!! Lure Of The Temptress is something with which to become lost in. Immerse yourself in this wonderfully crafted adventure that takes place within a gorgeous Olde English setting. 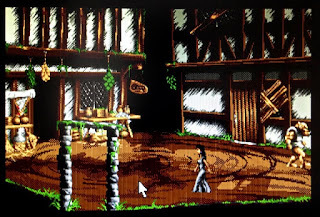 It's a point & click adventure controlled using your mouse: left button guides your character around the screen but can also display status and object information. The right button issues commands that allow you to interact with characters and much more. This system is well designed, intuitive and easy to master. Quite possibly one of the best I've seen in a game of this ilk. Gameplay is experienced in real-time with the populous merrily going about their daily business to help set the atmosphere. Having woken up in jail, your first task is to escape so it's fortunate Skorl's aren't the brightest bulbs in the box and easily fooled. Throughout, your progress will be down to careful exploration, examination, and communication so pick up every object because you never know when you might need it. Talk to everyone and see what information they can reveal and sometimes somebody might ask you to do them a favour before divulging. I love the opening scenes which nicely introduces you to the world you're in - and gorgeous visuals! The world is populated by some of the most entertaining characters, a delightful characteristic which will certainly win your heart. There are so many fascinating people to meet and all help make your adventure enthralling and utterly addictive. 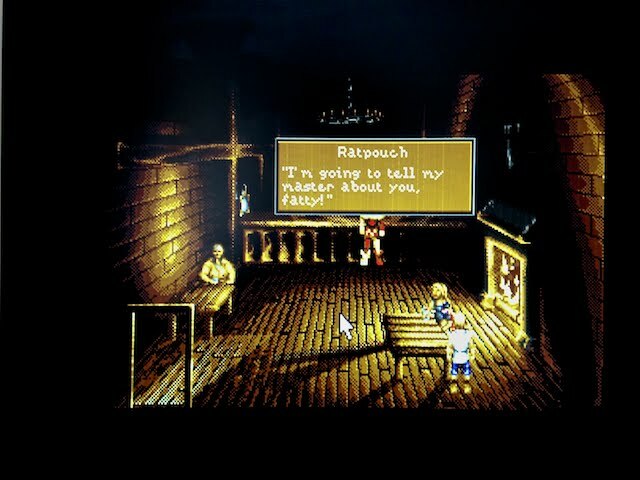 Just start a chat with someone in a tavern, for example, a dialogue guaranteed to entertain! This charm and charisma are displayed early on as you rescue a fellow inmate called Ratpouch who immediately becomes a loyal friend. He is such great company and will often try to help, but watch out because he doesn't half get himself into trouble by saying the silliest of things to other characters. Such a mischievous guy and a great best friend! It's always worth exploring and chatting with everybody you see. Why not also crossdress too!! This adventure is one of the most visually stunning games I've ever played. The artwork is an absolute joy and perfectly sets the mood for a medieval scene. The characters move and walk with smooth animation and I just love those intricate details, like the bird which sits on the fence for a few moments before flying off. A simple mechanic but it is also so impressive. Sound effects are the only weakness but please don't misunderstand me because they are beautiful and made up of high quality sampled sounds. However, there are also some screens which don't have any sound at all and I personally found this disappointing, in comparison to the rest of the game. Personally, I would rank it as one of the best adventures and is only a pinch away from perfection. 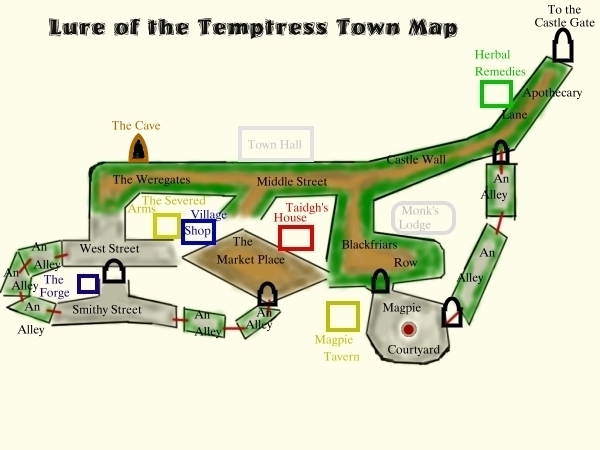 - I found this cool image on the internet which maps the village. - 8BitChip has adapted a version for an Ultrasatan / hard drive installation! - No hard drive? Then instead check out Old Games Finder for the floppy version. - ST Format featured a superb walk-through [issue #67 / page 83]. 1) Download ST Mint disk image. What happens when you meddle with perfection? You ruin it of course! That is exactly what has happened here with the third instalment of Gauntlet.
. . . If it ain't broken! There isn't much point reviewing Gauntlet all over again, so instead let's see what I liked (or didn't) about our "Final Quest". The first thing to notice is the sudden change in graphical style. Gone is the top-down view in favour of isometric visuals that look rather nice and initially help create a spooky medieval scene. However, this view cannot support the same overwhelming number of monsters which the original games easily handled. 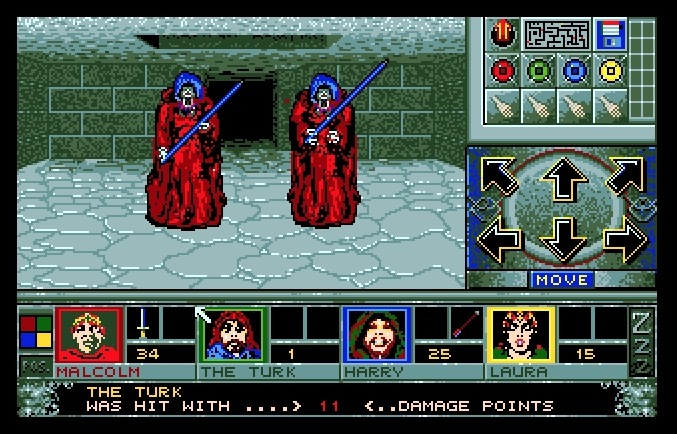 So Gauntlet 3 fails to deliver that same claustrophobic feeling of being overrun within the nightmare dungeons. Sure, the new graphics look nice but it's no longer Gauntlet, therefore, traditional ingredients which helped make it such a success are now all but gone. 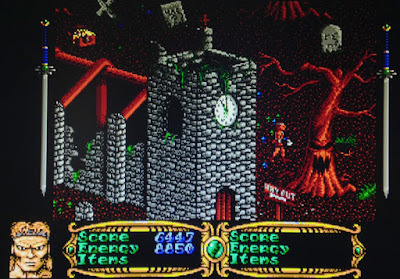 Gameplay has also seen a change in style from the frenzied monster-bashing antics in favour of a sedate exploration through defined environments. Perhaps the most peculiar new feature is a poisonous "thing" which randomly pops up from out of the ground, fun at first, but soon becomes tedious and rather pointless. Thankfully, Gauntlet 3 still has some of those old characteristics we love: the generators, familiar baddies, treasure and I'm grateful someone is still leaving food for me to nosh on! Controls are a mixed bag of various disappointments. They feel slow and laborious plus flawed mechanics seem to do whatever they can to hamper any sort of snappy and decisive movement. The locations may look nice but I soon wondered why my musclebound warrior wasn't able to hop over a tree log or stomp through a mushroom patch. Throw in a dollop of dodgy collision detection for good measure and the chance of fun has disappeared! For those who may feel I'm being unnecessarily harsh - good! The Gauntlet name is ginormous and anything less than fantastic is going to be a disappointment and that is exactly what we have here. Sadly, it has the potential and I really wanted Final Quest to be great but the agonisingly tedious gameplay spoils any chance of long term enjoyment. 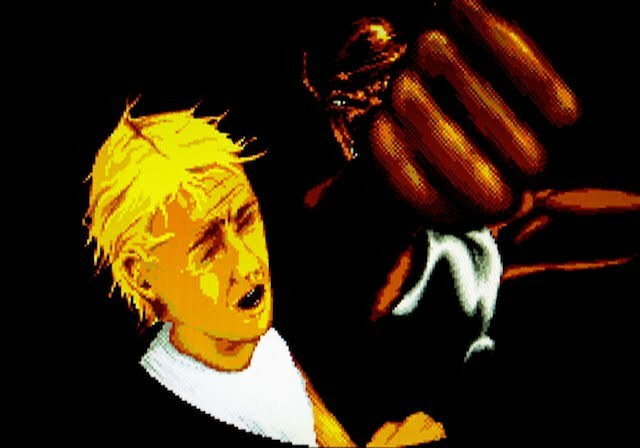 I, therefore, cannot recommend Gauntlet 3 and advise you play either of the original games instead. I contacted Peter Putnik of 8BitChip (Atari ST wizard) and asked about a hard drive adapted version with support for faster computers. Once again he came through with the goods and I've enjoyed playing Gauntlet 3 for a few weeks on my 16MHz Atari STE (yes, you heard correctly - enjoyed!!) Sure, it still isn't perfect but if you have a faster computer then it will help to eliminate some of the frustration to do with the laggy controls. - Floppy disk images are found using Old Games Finder. - Joy Of Sticks recorded a fantastic video. - Gauntlet Wiki page should be very interesting for newcomers. 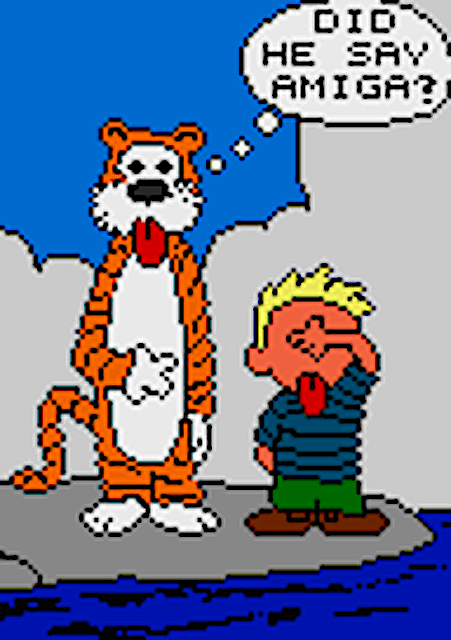 Thanks to Robert Cowell, I nabbed myself this hilarious image which is taken from one of the most famous Atari ST demos. I still remember the first time I saw that kid sticking out his tongue in disgust!! Amazing demo. Grab yourself a copy of the Cuddly Demos at Demozoo. Zynaps was released by the mighty Hewson back in 1988 and is a brilliant shoot 'em up. The smooth scrolling graphics are lovely and they're accompanied by equally great sound effects. Heck, even the title music is memorable (and I'll be humming it all day now). Trouble is this, Zynaps is one tough cookie and will push even the most gifted player to his limit. I feel the game just needed more lives as I am sick of seeing that 'Game Over' screen! Right now, I am playing on level 3 and it's superb - I have never EVER got this far before. An amazing game! - Klaz' Hideaway has created a version which can be installed to floppy and hard drive. Accelerator was previewed in ST Action #31 all the way back in 1992 but it appears to have never been released. Digital Reality was going to be the publisher so I'm guessing they went Kaboom before it was finished? 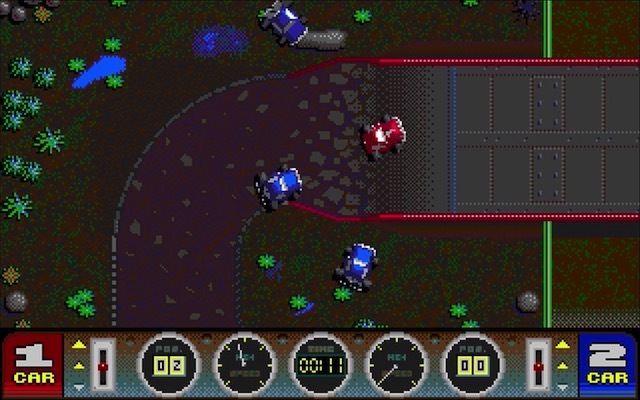 The game looks and plays a LOT like a certain Atari racer, but, with scrolling. Has anyone got any other information to share? Click on these two pics and then take a look on AtariMania for the download of an early preview version. 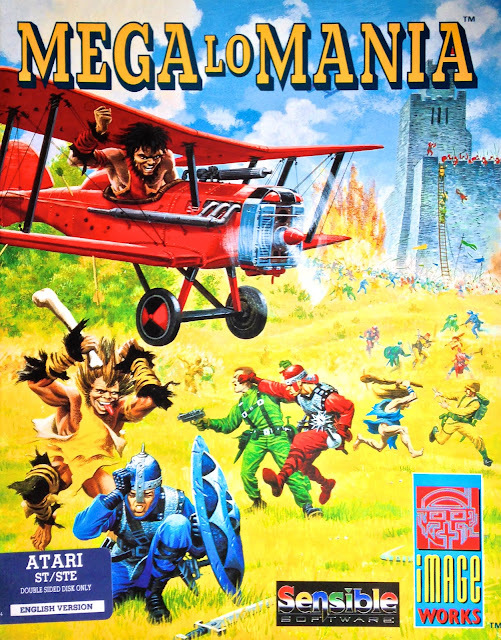 It's time for some cool box art again and this time it's Mega-lo-Mania by ImageWorks. I bought a copy off eBay for (wait for it) 99 pence. Yes, that's right and its condition is so close to mint it's unreal - I'm so lucky. Just look at the intricate details from this insane war zone, there is so much going on! It's whacky, it's crazy, and an outstanding example of gorgeous artwork. As usual, AtariMania has this featured within their library. Power Up + is an overhead scrolling racer by Marek Cichon of Empty Head. However, my first impressions weren't good because it felt like a cheap Super Cars clone - at best!! Well, I never go off first impressions and took the time to configure the many options to playtest it properly through rigorous practise sessions. This is a tough job running AtariCrypt you know, but it wasn't long before I was ripping around the tracks and wearing a big smile. Take time to configure Power Up to suit your particular computer. And use the editor! There are a lot of tracks with various conditions to endure like the type of road, weather and I really enjoyed the wet tracks for sliding around the bends. Okay, it's hardly Ridge Racer but it's still great fun. Weapons are supported and each car has the ability to fire the world's slowest "rocket" which somehow always manages to hit me! Also, watch out for oil spills left behind by the other drivers that will have you slipping and sliding like a crazy fool. I love the humungous variety of different tracks and they all look pretty darn cool. Controls work very well: acceleration is automatic through reverse and two forward gears. Top gear that allows you to hammer past the other vehicles so you better practice your cornering! Strangely, weapons are activated using the keyboard which may be awkward for joystick players? Successful racers will be rewarded with glory and a massive golden cup - before strangely being sucked down into the ground. I don't get it but it's ludicrously funny!! Gotta love the pile-ups and then one drops oil just as you think you can escape their clutches! Graphics are pretty much homebrew but extremely well detailed and even makes use of the Blitter chip lurking within both the Atari STe and Atari STFM. Sound effects can be either chip of DMA and I personally prefer the latter. All music is played in stereo on the Atari STe with frequencies going all the way up to 50Khz, which is quite superb! Power Up certainly has its fair share of quirks but surprisingly turned out to be one of my favourite homebrew games. Heck, there's even a track editor for the creative amongst you. Master the controls to enjoy lots of Super Car-esque thrills and it won't be long before you're racing (and sliding) around the tracks like Dale Earnhardt!! Why did you create Power Up and what inspired you? 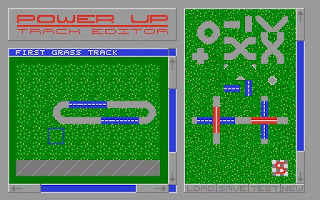 - I liked frantic racing games - Rally Speedway on Atari 800 plus track editor. What did you get from the TOS platform during this time? - 6 years of fun and development overnight! Did Power Up live up to all your expectations? - Unfortunately not. It is the homebrew game with a look developed mainly by two friends from the small city Chomutov. We would be successful to release the game till 1992. - American NTSC version of Atari ST from 1985 year (my father bought in in Houston, Tx). I have developed most of my programs, including Power Up, on this computer but using on PAL TV. This meant black and white, unstable display (TV 50Hz, Atari 60Hz). Also a European Atari STE with 2 MegaBytes extended memory! Easy question, what are Marek's favourite Atari ST games? - Vroom, Super Cars 2, Lotus Esprit Turbo challenge, Karateka, Test Drive, F15 Strike Eagle 2. Oh I see that racing wins! Are you planning any Power Up updates in the future? - No. 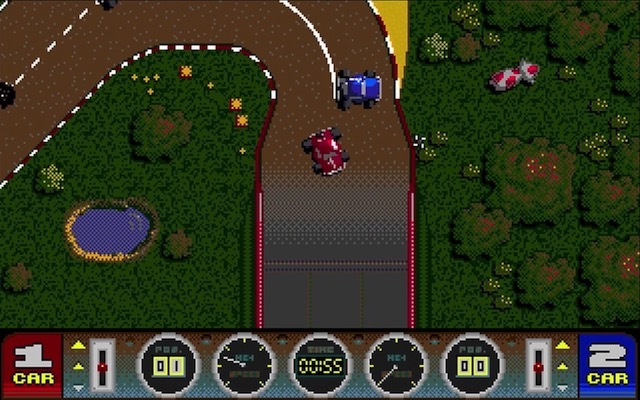 There were two releases Power Up and Power Up Plus with better graphics, shooting and oil slicks to finalise the game. What retro games are you playing in todays crazy world? - I prefer the older Atari 800 games like The Great American Cross-Country Road Race, Rescue on Fractalus, Electra glide. Are you listed on Demozoo? - When people contact me from Australia, Mexico or UK. Those who play Power Up with my compliments. Thank you Steven. 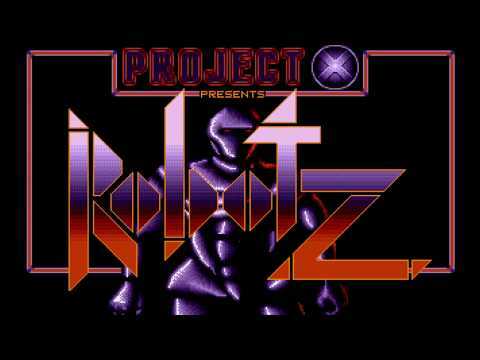 Atari ST chiptunes are superb and we have numerous music disks to enjoy, like Relix by DHS/Paradox. This features a some of the most awesome examples of what 505 (aka Nils Feske) has created and also features something which I think is really cool - an AUTO Play function. 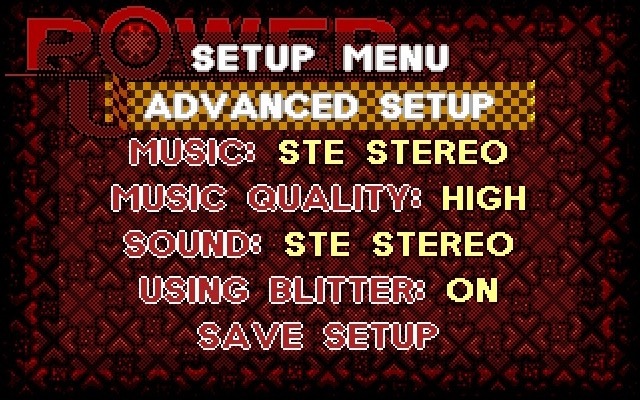 Yep, you can leave the music disk alone and it will automatically work its way through each tune. I love Relix and it's now one of my favourite music disks! !